Unsurprisingly, most people applied for new passports as the summer kicked off. DID YOU GET a new passport last year? You’re not alone. Some 629,446 passports were issued by the Department of Foreign Affairs and Trade in 2014. May and June were the busiest months, with one quarter of all applications being lodged during this period. The Department’s offices in London and Canberra issued the greatest numbers of passports. 82,564 passports issued in May and 76,314 in June – the busiest months. Foreign Affairs Minister Charlie Flanagan said the Department has “worked hard in recent years to ensure we provide a modern, secure and quick passport service”. 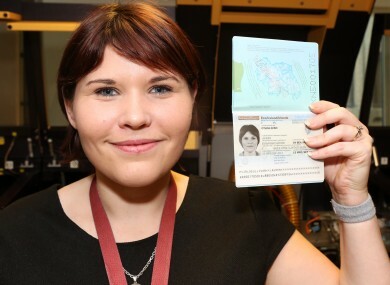 Flanagan encouraged Irish citizens to check the expiry date of their passport and to remember that many countries require incoming visitors to hold passports which are valid for at least six months. He said those who need to travel at short notice (3-10 working days) can save time by booking an appointment online. Email “Here’s how many Irish passports were issued in 2014”. Feedback on “Here’s how many Irish passports were issued in 2014”.